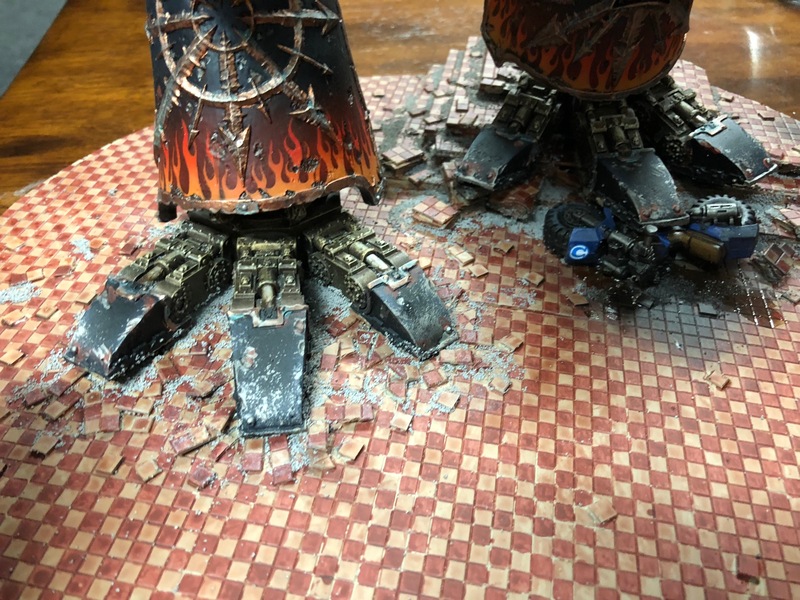 The first titan on a Maniple has been completed. 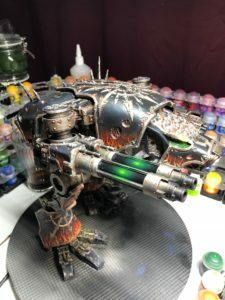 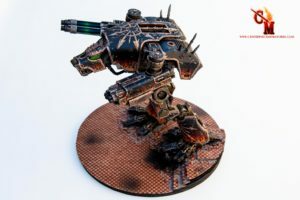 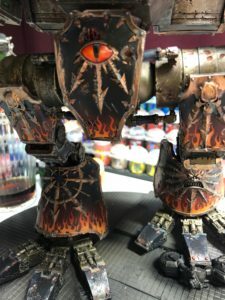 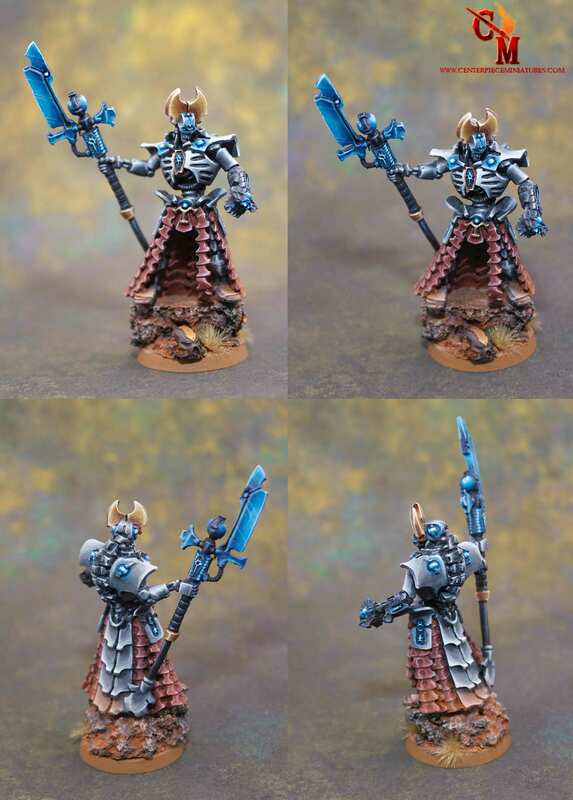 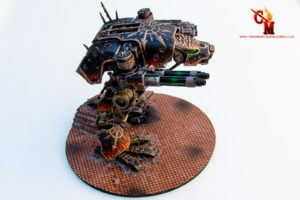 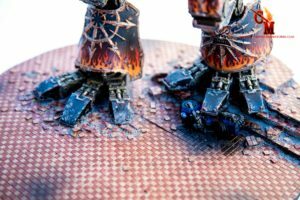 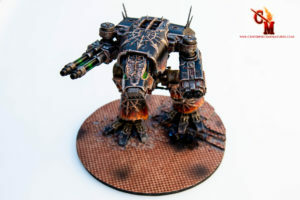 This Titan is of the Legio Infernus traitor titan legion. 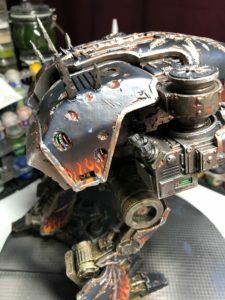 It is painted to level 4 quality. 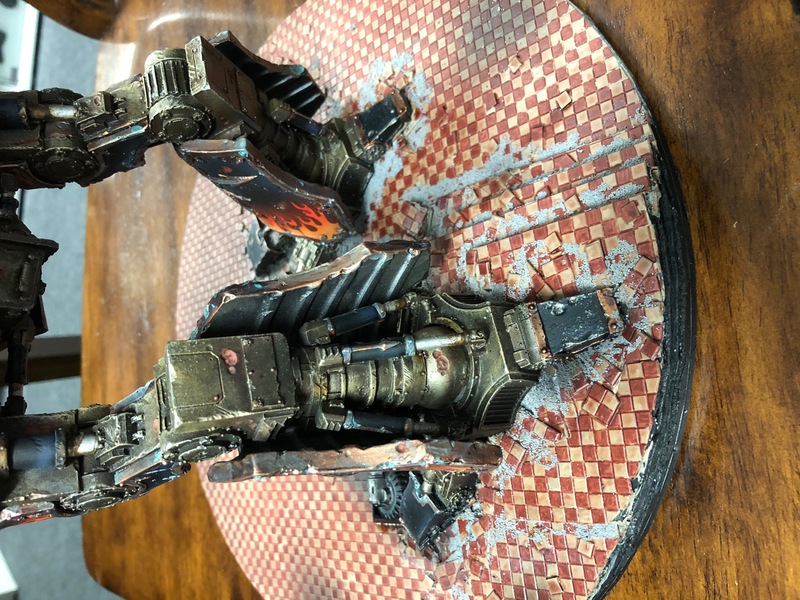 Unfortunelty i dont have a light box or lighting that can really show off the completed Titan. 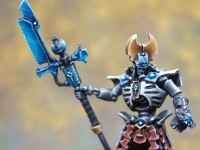 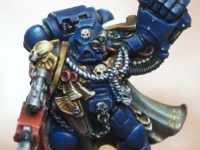 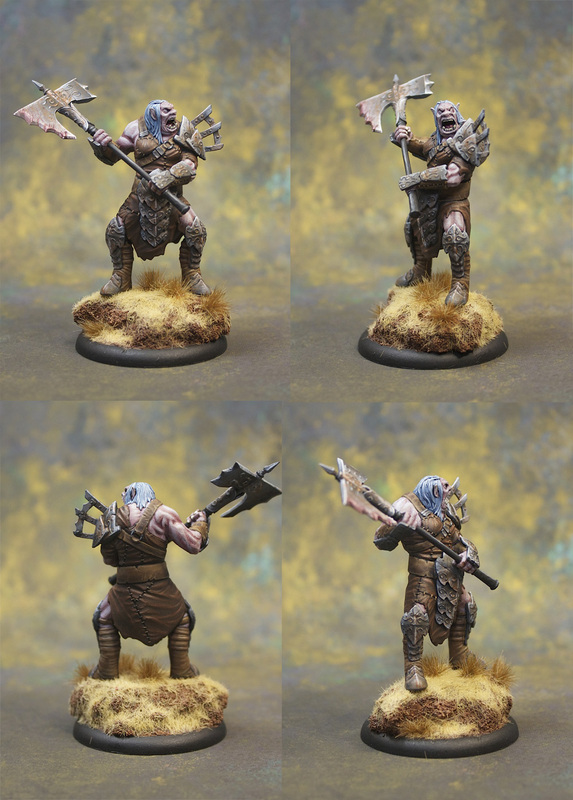 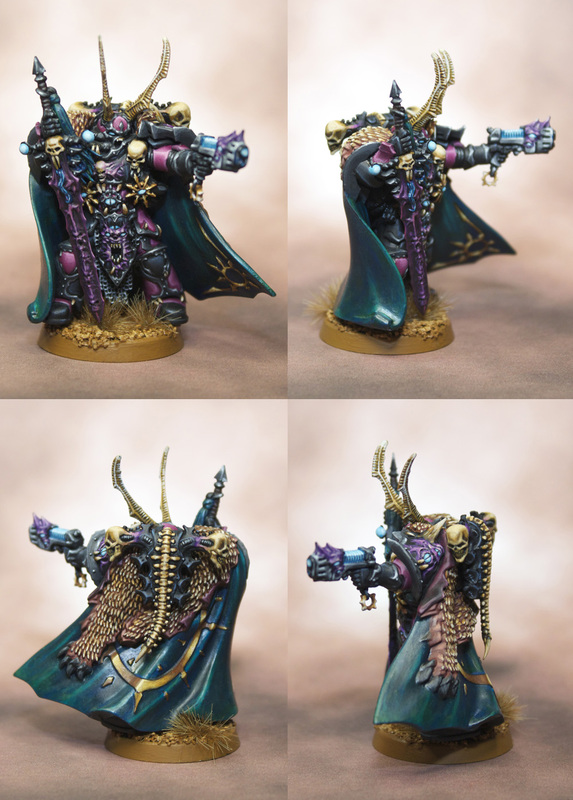 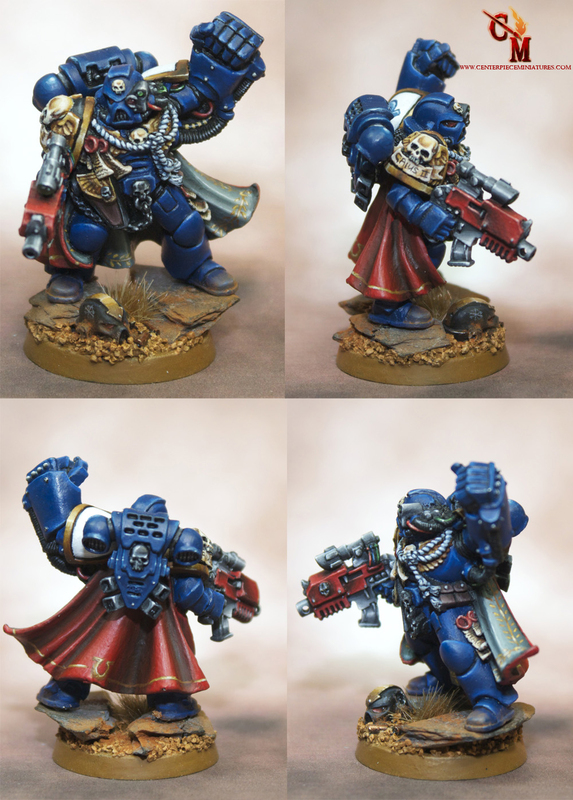 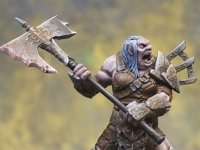 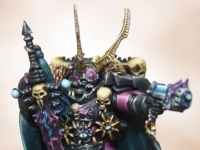 So I’ve included some WIP images and the compelted images in the hopes that you get the overall feel of the painted miniature. 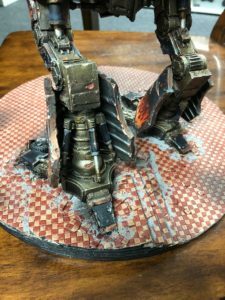 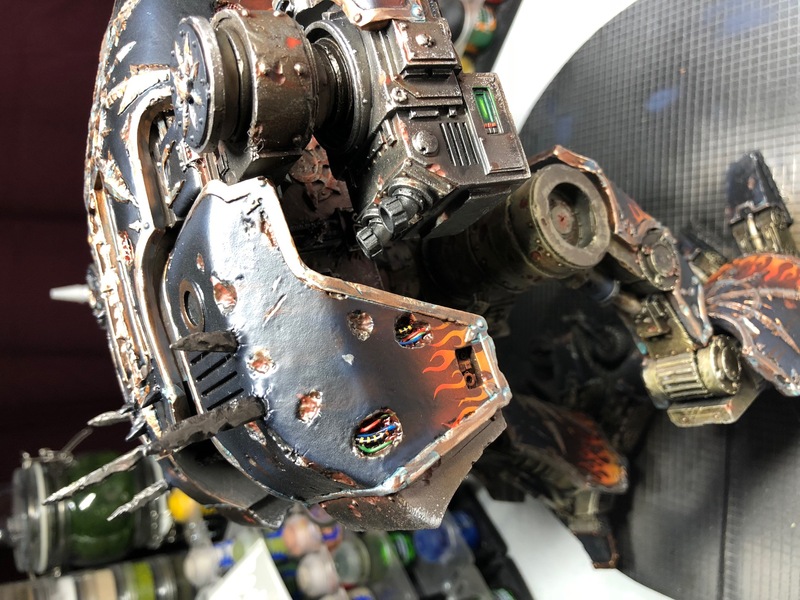 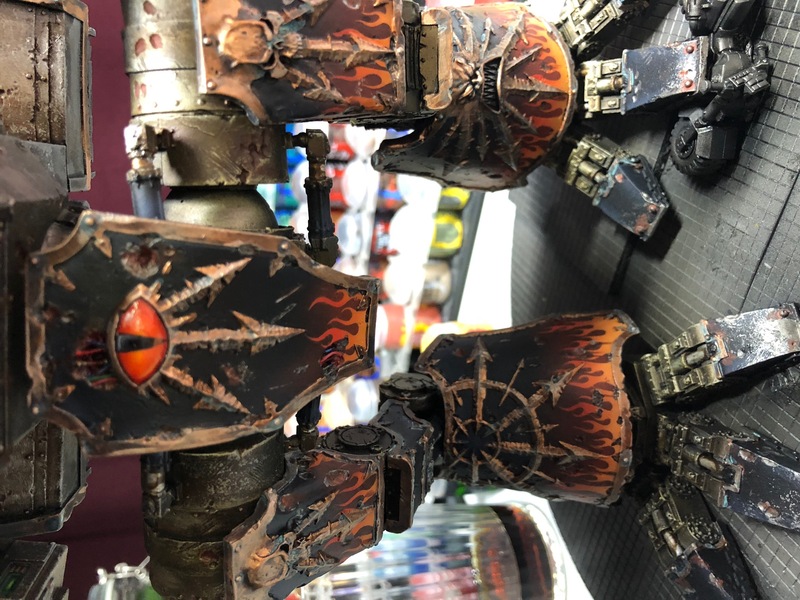 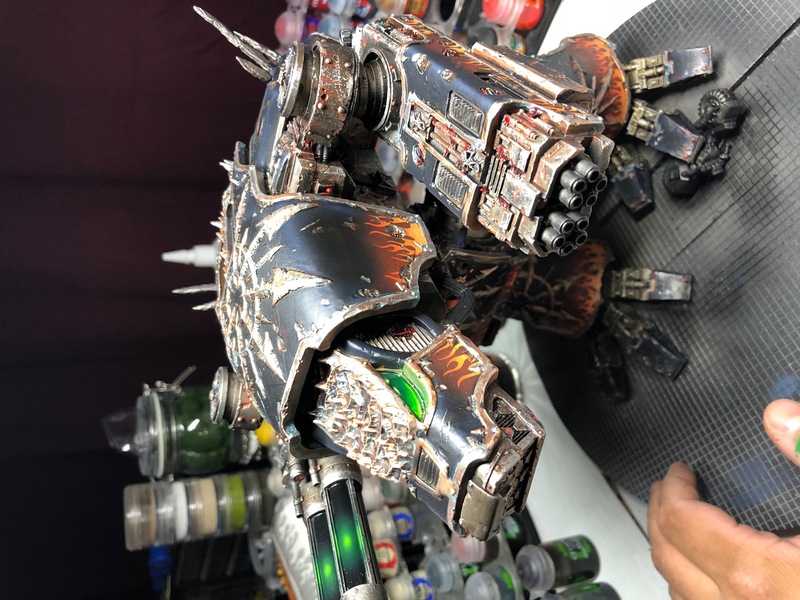 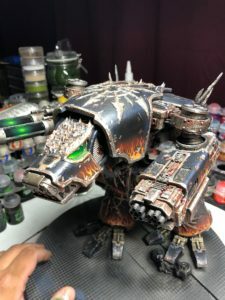 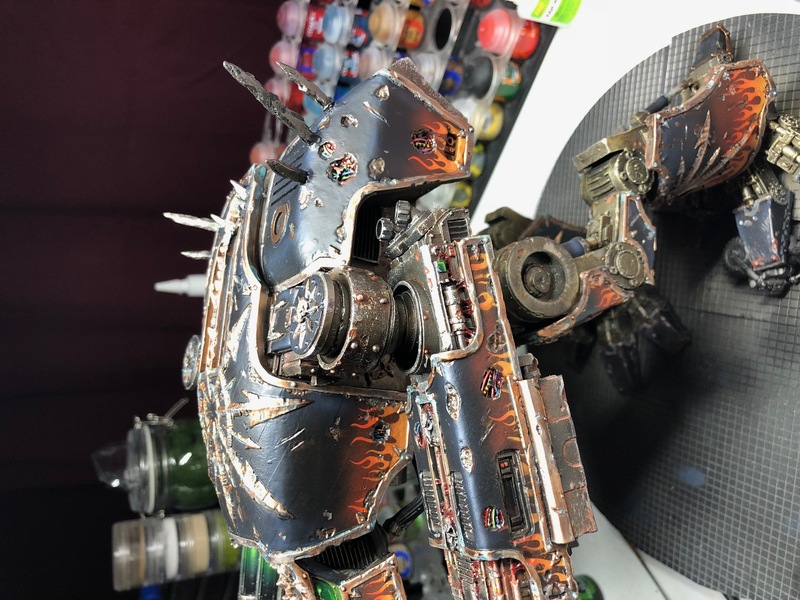 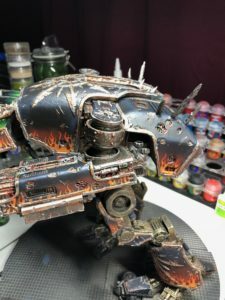 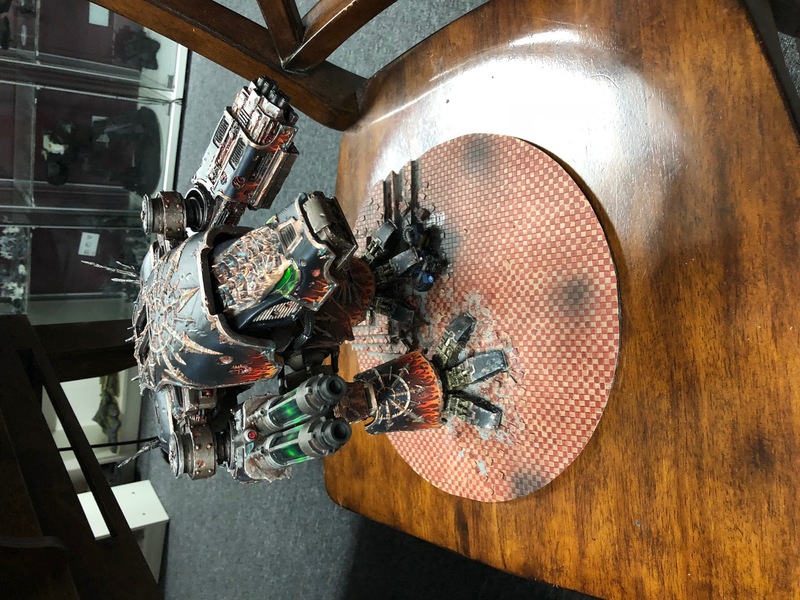 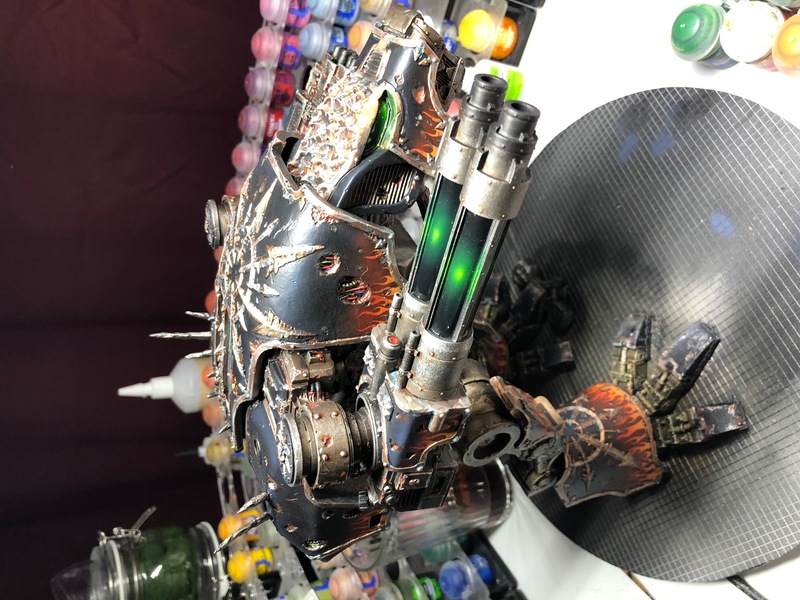 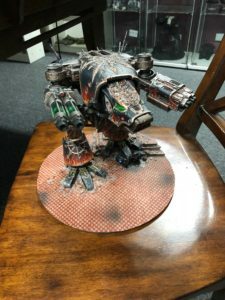 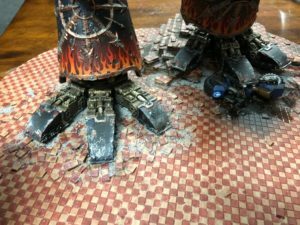 Work in progress pictures of the warhound titan being painted. 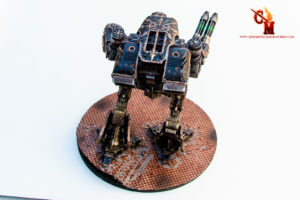 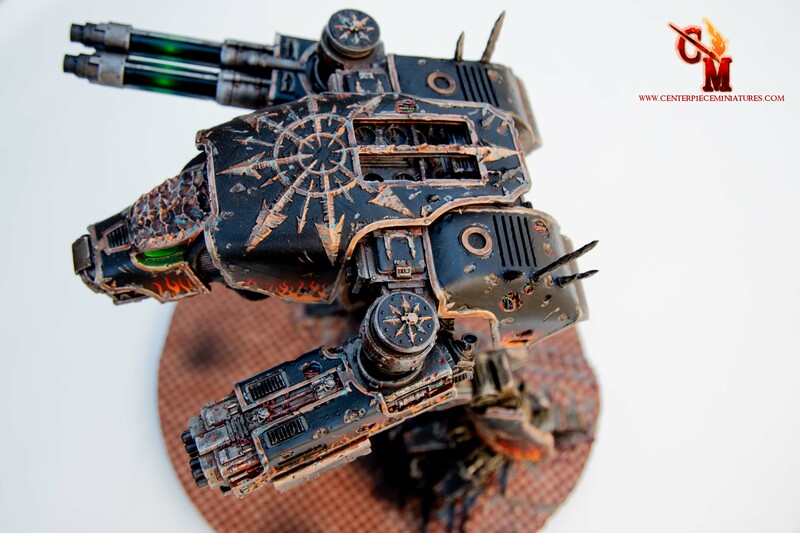 Completed images of the Warhound titan.